Karen Hubacher has been exhibiting her work in the Washington DC area for over 20 years. Despite a childhood passion for drawing and painting she has a B.S. from American University in Computer Systems. For 15 years she was a systems analyst in the Department of Defense consulting industry. In 1986 she began studying watercolor painting with Susan Abbott, hauling a suitcase full of art supplies with her on business trips, painting at night in her hotel room. A temporary move to Korea in 1989, where she was able to devote her days exclusively to painting, was the catalyst for leaving her IT career and establishing herself as a full-time, exhibiting artist when she moved back to the Washington, DC area. 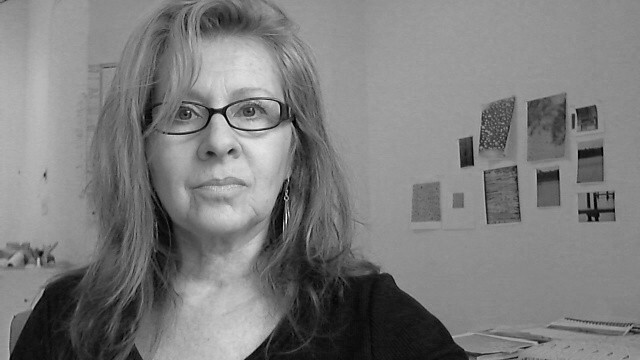 During the 1990s her creative focus moved to printmaking and the book arts. In 2000, encouraged by Boston abstract painter, Wilfredo Chiesa, Hubacher began to paint again. Combining techniques she developed during her printmaking and book arts years, she paints with oil and mixed media, creating organized abstracts with textured surfaces. Recently she has been exploring the organic possibilities of encaustic, resulting in a subtle, more minimalist expression. Hubacher's work is included in the collections of the District of Columbia City Hall, the District of Columbia Art Bank, the International Monetary Fund, the American Embassy in Poland, Booz Allen Hamilton, Embassy Suites Hotel, the American Board of Surgeons, playwright Edward Albee, and many other corporate and private collections in the United States and Europe.